What do we measure in church? We have just had our church’s Annual Meeting, and once again it has proved a useful exercise – but not for the obvious reason. We are an Anglican church, and that means we do not run our business by a series of congregational votes: we elect a council at the Annual Meeting, and then each year we report back on what has happened and been decided. So that puts a bright spotlight on the reports from the various areas of church life, and is a spiritual health check. Now it so happens that this past twelve months has been a ‘good’ one for the church (I’ll explain those scare quotes in a moment). Attendance has been visibly up at all the services and children’s groups, giving has been solidly but quietly generous, and we have added some excellent new staff. There is a real sense of momentum, the programming is full, and the atmosphere at the meeting was solidly thankful. I’m thankful too, and relieved. So why am I troubled? Because those reports measure the wrong things. Imagine that over the past twelve months numbers had gently dipped, giving had moved us into the red, and we had lost some key members. The atmosphere at the meeting would probably have been charged, and hard questions would have been asked. That’s probably a right response, but to correlate growth with God’s pleasure and decline with God’s displeasure is the crudest form of church growth idolatry, and a disastrous form of the prosperity gospel. Because being part of something which is apparently succeeding feels good, no-one asks hard questions. Success is its own validation. And while I recognise that it’s easy to say this from a position of ‘success’ rather than ‘failure’, there is a part of me which sees the report to the Annual Meeting as a pass/fail score on my ministry. Which is stupid, but so obvious that it has to be named, because the resultant pride or depression are both spiritual damaging. It is critical we see that faithful churches can decline as well as grow, that many God-honouring churches fail to balance their budgets, and that people change church for a range of reasons, from good to selfish. On the other hand, there are thriving but faithless churches all over the place – there have been since Revelation 2-3 was written. I’m not stepping back from my confidence in the gospel plan for growth here: God’s kingdom will come, and he will win. But if we measure God’s pleasure with our congregation by those graphs moving up, we are a secular as any business. And in fact, while those measurements do not tell us anything of spiritual relevance, the fact that we put such store in them does. If we start to congratulate one-another for the fact the church is growing, we are putting ourselves as the reason for the church’s health: which is, again, idolatry. Increasingly, I’m concerned that we measure differently, and that we shift what we are watching. Whether our Sunday attendance is going up or down is not a measure of spiritual health – but the proportion of our members involved in small groups definitely is. Our membership list can go up or down for a variety of reasons – but the proportion of it who come to the prayer meeting is of much greater concern. How many workers are we raising up and sending? We will still count people on Sunday and keep an accurate membership roll; we have to anyway, and it helps us to anticipate issues that we might need to address. But we’re going to start counting other areas as well, and not as an absolute but as a proportion. They might be a better indicator of our spiritual seriousness. 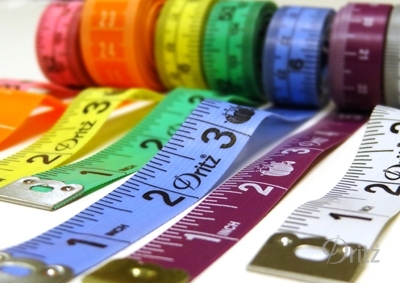 What do you measure about your church, and why? What do you take pleasure in about your church,and why? I agree with this wholeheartedly – and have moved to a similar “proportional” measurement. But my further reflection, having done so, is that I wonder whether I am still then focussing on numbers rather than changed lives. I know this is hard to measure, but I wonder whether it is possible to measure some sort of overall sense of how people’s walk with God has grown over the year, how their generosity, giving and serving are going, and how engaged in mission everyone is. Our local school does a “satisfaction” survey every year, and maybe a yearly “spiritual health check” survey could be very instructive. I know one vicar who visits every adult in his congregation every three years to give just such a spiritual health-check. I don’t know what the answer is but I do know a church can be a healthy, growing and Kingdom advancing family, and see many of the “numbers of growth” (and benchmarks on the diocesan dashboard!) go down. Good points. We had a big push to encourage people to read through the whole NT in Lent, and I think numbers participating in that (or better, proportion of people) is worth looking at too. Basically, I think we should pay more attention to spiritual discipline than crude attendance – but it’s tricky. Yup. On that, I’m tracking the kids attending their groups: attendance records there tell us about frequency of their parents.